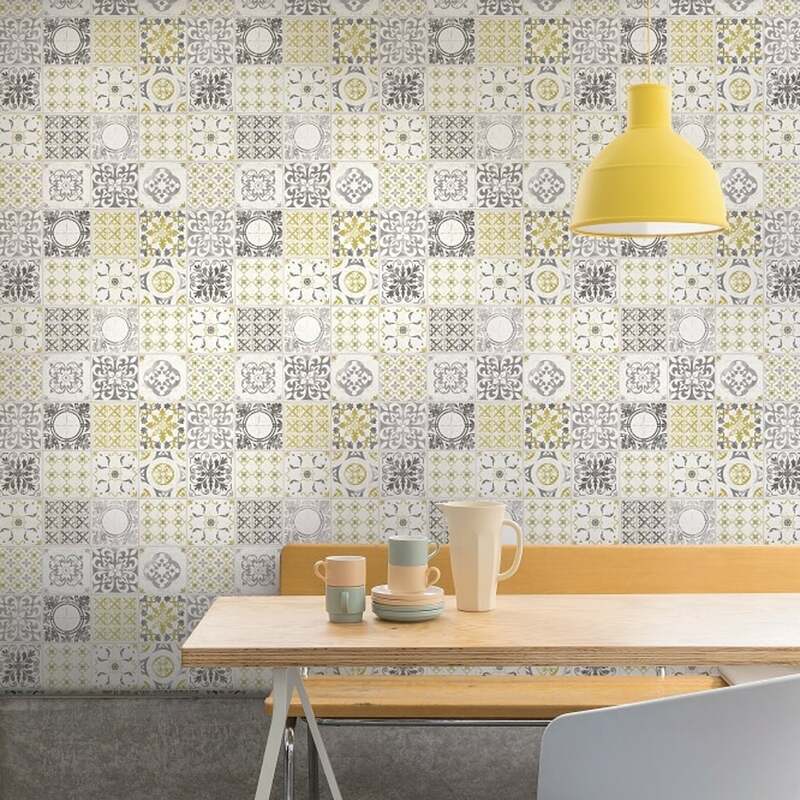 New from Grandeco, and part of their Ideco Home range, comes this fantastic Porto Tile wallpaper. This stunning modern wallpaper features a faux effect tile pattern with floral baroque motif, and is textured and lightly embossed for effect. Love the colour and it's the easiest wallpaper I have ever put up. Great quality, doesn't tear and I pasted the paper not the walls. Looks stunning in my kitchen.